Engr. Eric Paden, IPOPHL Area Manager for Visayas, gave an overview of the IP system and Intellectual Property Rights. ngr. Chamlette D. Garcia (left), OIC-Head of the Utility Model Examination Division of the IPOPHL, emphasized that an innovation must fulfill three basic requirements for patentability: (1) it must be novel; (2) inventive, and (3) industrially useful. 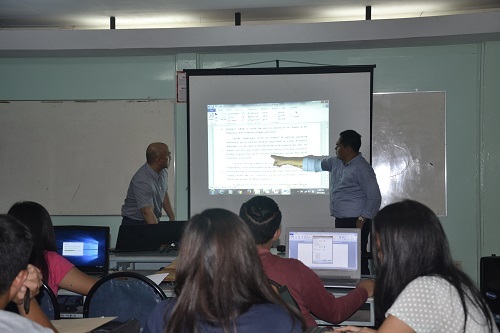 With the goal of increasing awareness on ownership and protection of Intellectual Property in the university, the Western Mindanao State University- Innovation and Technology Support Office (WMSU- ITSO), in partnership with the Intellectual Property Office of the Philippines (IPOPHL) conducted a writeshop on Patent Search and Drafting last March 14-17, 2017 at the CPADS Library. The four-day training aimed to capacitate faculty and student-researchers on basic principles of patenting. It also meant to equip researchers with know-how on identification and collection of patentable technologies. More than 40 participants attended the writeshop comprised of faculty members of the College of Science and Mathematics, and student-researchers from the College of Engineering and Technology. Engr. Chamlette D. Garcia, OIC-Head of the Utility Model Examination Division of the IPOPHL and Engr. 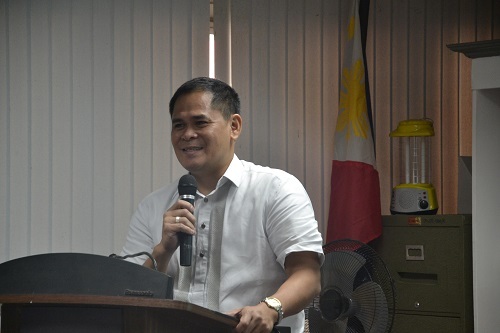 Eric C. Paden, Area Manager for Visayas, served as the resource speakers on the writeshop. Engr. Paden discussed the overview of the Intellectual Property (IP) System and intellectual property rights, patent granting procedure, and registration of utility model and industrial design. He also gave a lecture on claim drafting and copyright and related materials. Engr. Garcia, on the other hand, talked about the requirements for patentability, basic patent search, and patent searching in relation to the International Patent Classification (IPC). He also discussed the procedure when requesting for registration of patent. Series of lectures on drafting specification, claim drafting of actual technology, patent drawings and trademarks were also given. Workshops were done wherein the participants were asked to do basic patent search and claim drafting. The participants were asked to draft the specification of their inventions, which were showcased in the 2nd CET Exposition last February 13, 2017, to be applied for intellectual property rights. Patent search is known to be one of the most important skills that researchers should have. This also involves searching databases to determine if an idea has already been patented. Meanwhile, patent drafting refers to the process of writing patent description and claims, which is the core of any patent application, and in due course, if allowed, of the granted patent specification. With the advent of globalization and the race for global competitiveness, Higher Education Institutions are encouraged to support and assert their role in the national innovation system by transforming R&D results into commercially valuable innovations. The protection of these intellectual properties (IPs) generated by researchers is vital in the dissemination and commercialization of knowledge and technology, generating income to the university.